The above thought reverberated during a two day leadership workshop titled “Rethinking public service in Nigeria through servant leadership” at the National Agency for the Prohibition of the Trafficking in Persons (NAPTIP). It was an opportunity for NAPTIP officer and 2018 Mandela Washington Fellow, Lawrenta Igoh, to share insights about leadership acquired while on her fellowship and also in compliance with her agency’s capacity development drive. 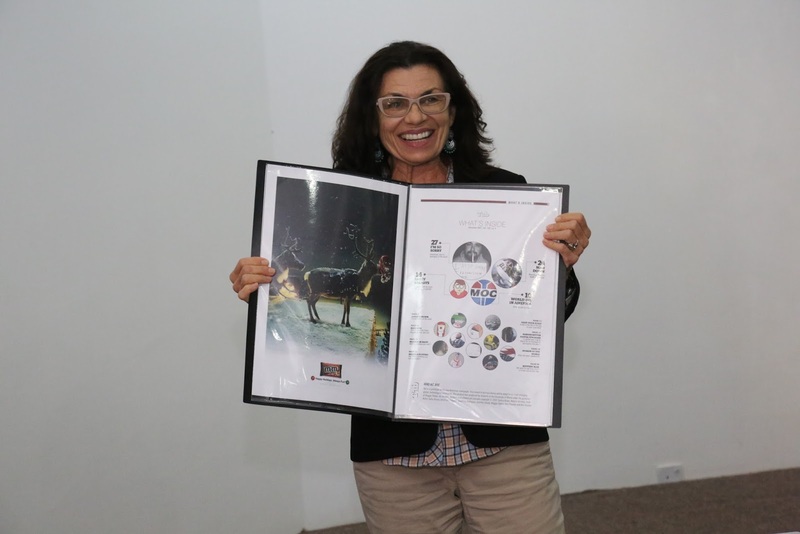 Lawrenta was on the fellowship’s Public Management tract, where she spent six weeks at Bridgewater State University-Massachusetts, with some leadership sessions at Harvard’s Kennedy School of Government and Kennedy Centre for African Studies. The Embassy of the United States of America to Nigeria recommended me to be a 2018 American Film Showcase (AFS) fellow at the University of Southern California. Nerds and those in film circles know how much of a big deal USC is. The school famously turned down Steven Spielberg on one hand and produced George Lucas on the other hand- two filmmakers whose films have grossed billions of dollars and set up movements in the film industry. For Nigerians, the director behind the beloved Black Panther graduated from there. Today is International Women’s Day, a day set aside worldwide to celebrate the social, political, economic and cultural achievements of women. The United Nations celebrated the day for the first time in 1975 and although women have made great advancements a lot still remains to be done which makes this year’s theme “Press for Progress” apt. 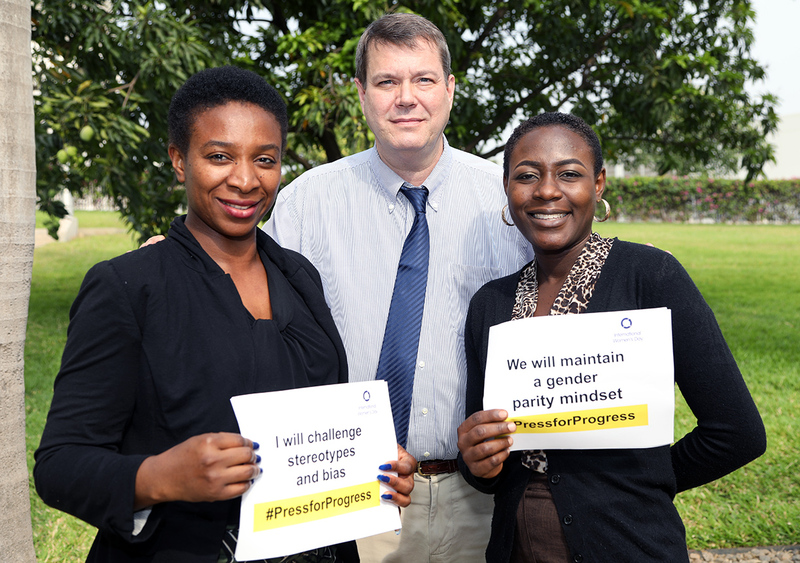 The US Mission in Nigeria is also making its contribution to the advancement of women and girls in Nigeria through several programs that it runs, some specifically targeted at women. One of such programs is the Techwomen exchange program which the Embassy supports. 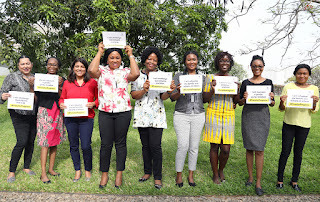 The TechWomen is a U.S. initiative empowering and connecting the next generation of women leaders in science, technology, engineering, and mathematics (STEM) from Africa, Asia, and the Middle East. 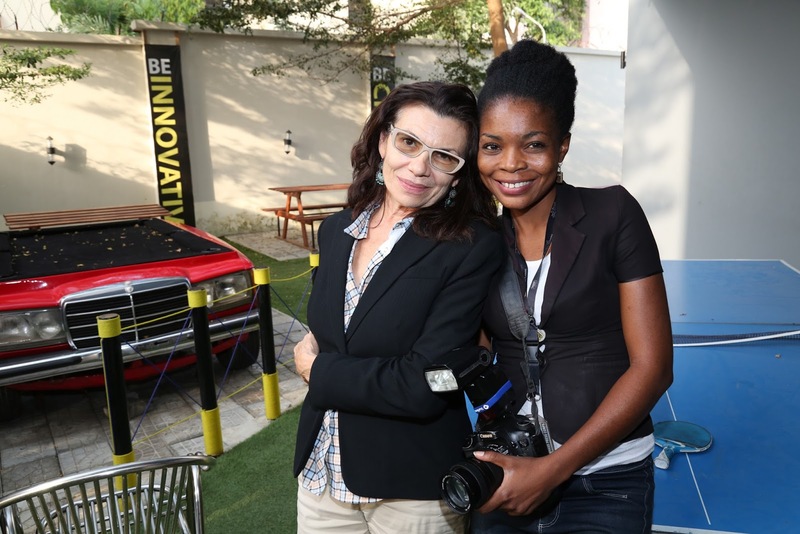 Some Nigerian women who participated in the 2017 Techwomen exchange program include Carolyn Seaman and Damilola Anwo-Ade. Carolyn Seaman is using technology to empower girls through her Girls Voices Initiative, while Damilola Anwo-Ade is mentoring the next generation of coders, including young women, through her initiative CodeIT. 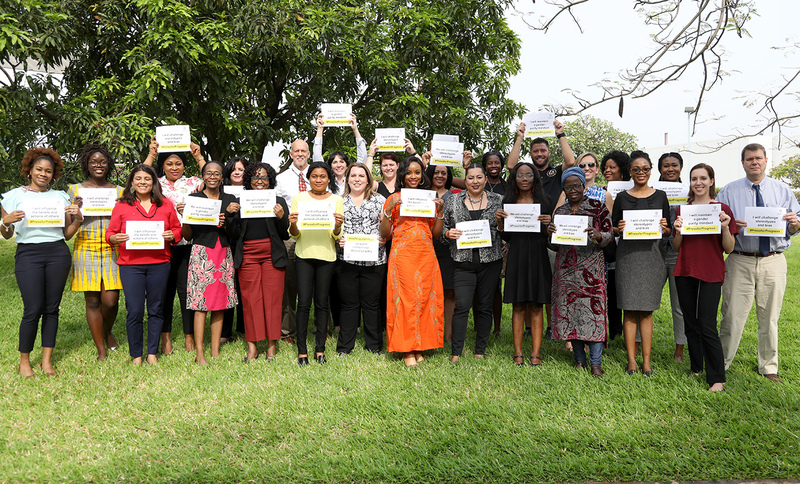 The Embassy each year also organizes programs to stop gender based violence during the 16 Days of Activism Against Gender-Based Violence. Last year, several events were organized including a roundtable discussion on the theme “Eliminating Violence against Women with Disabilities.” This program was linked virtually through Google Hangout with the five American Corners across Nigeria: Kano, Bauchi, Calabar, Sokoto, and Maiduguri. A panel discussion also took place on “United in Justice: Stopping Gender-Based Violence with Institutional Support.” Panelists included representatives of the National Police, NGO community, religious institutions, and the National Human Rights Commission. Women are equally represented in all U.S. Government exchange programs such as the International Visitor Leadership Program (IVLP), Fulbright Program, Hubert Humphrey Fellowship and the Mandela Washington Fellowship. 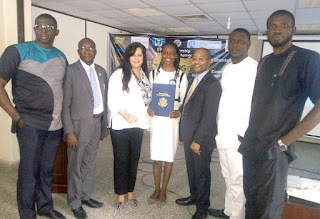 Of the 100 Mandela Fellows last year 50% were women drawn from different parts of Nigeria. 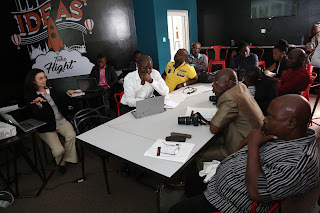 I attended a photojournalism training recently and it was an eye opener for me. I love photographs and unlike lots of other people my favorite social media platform is Instagram. It’s simple and straight to the point. The pictures say everything. Although I knew this, it was Maggie Steber, the trainer, who articulated this idea. Photographs tell stories and capture a piece of history. I remember pictures of my mum taken in the seventies in which she was wearing a mini dress and afro hairdo and another one in which she wore an “oleku” which incidentally made a resurgence some few years back. So I do see how photographs relate to history. The power of photography is in the fact that it’s a universal language. A photograph doesn’t need translation. Whether it’s a wedding photo of a Chinese couple or the picture of a new born baby in the arms of its mother in Ecuador or two street boys fighting in Lagos, it’s instantly understood. That’s why I love Instagram so much; not many words, just pictures. Another thing I discovered during the training is that photography is hard work. It involves going the extra mile. You may have to walk for miles to find that perfect shot which captures the essence of the story you’re trying to tell. It also involves taking postures that people might regard as undignified in order to get a particular shot. One has to be passionate about this work, if you are going to be successful. Fortunately, I saw a lot of this passion in the photojournalists who participated in the training and in the beautiful pictures they shared with the group. 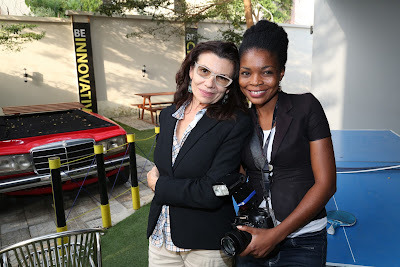 Good human relations are also important to the success of a photographer. Maggie explained that if you’re genuinely interested in the people you photograph, you’ll take better pictures. She exemplified this fact in the time and effort she put into her work in Haiti, getting to know and love the people on that Caribbean island. This interest led to a project in which she and some of her friends convinced young Haitians to take pictures of their country. The pictures were featured in National Geographic Magazine under the title “Haiti on its own terms.” The young photographers wanted to show the world that their country should not be defined entirely by its natural disasters and poverty. There is also a great deal of beauty there. 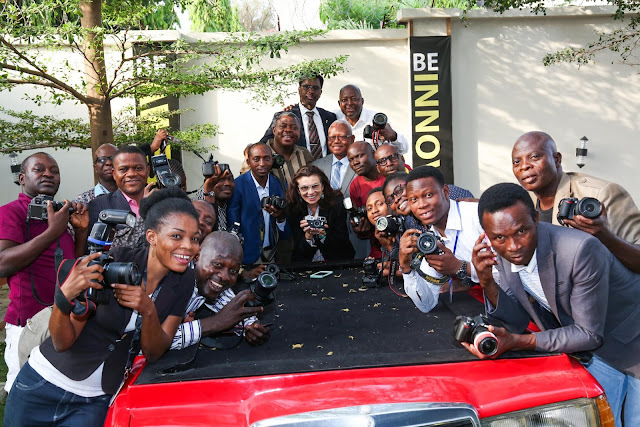 She encouraged the Nigerian photographers to do the same thing because unfortunately, the image that many people in the West have of Nigeria is largely negative. Herein lies the power of photography. It can express beauty in a way that words cannot and begin to change some of the misconceptions about Nigeria and its people. I also learned that Photoshop is great! The first time that I saw the impact of Photoshop was when I viewed my wedding pictures. I did not recognize myself! Maggie told the journalists to use it to make their pictures richer and I support this wholeheartedly. 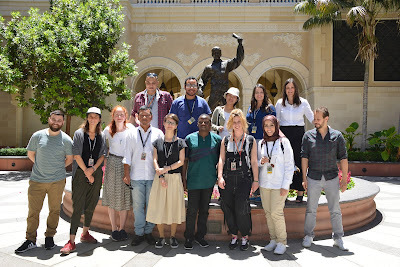 At the end of the training, the participants, all professional photojournalists, were excited about the experience and wanted to learn even more. Even those of us who aren’t professionals left with a new way of looking at pictures and were thankful to the inventors of modern photography. shrink Nigeria’s large backlog of cases awaiting treatment. Minister of Health Professor Isaac Adewole took the Health Ministry’s efforts to rid Nigeria of untreated obstetric fistula into his own hands by “scrubbing in” at a free surgical repair clinic for fistula patients at an Osun State hospital in late July. 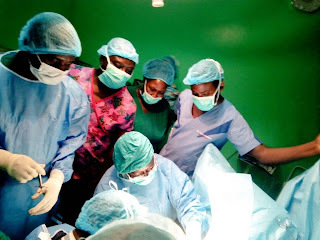 The Minister led a team of Nigeria’s top obstetric surgeons at the United States Agency for International Development (USAID)-supported event, which marked the commencement of a joint initiative between USAID and Osun State government to expand access to fistula repair treatments within the state. The initiative is part of a nationwide push to improve public access to health care services.